Pooran earned his maiden ODI call-up for the England series on Thursday. 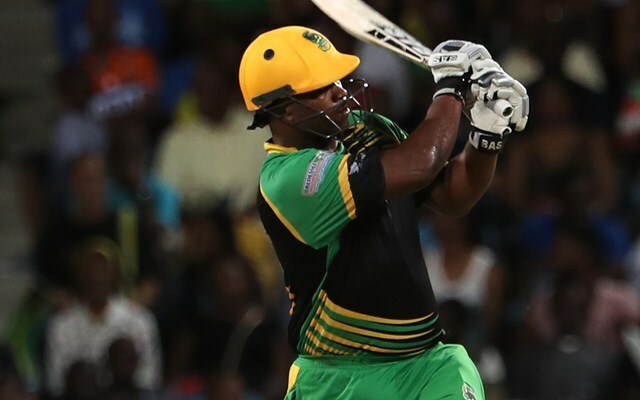 Multan Sultans have roped in a like-for-like replacement for Nicholas Pooran by adding Johnson Charles for the forthcoming edition of the Pakistan Super League (PSL). The franchise took the decision after Pooran was called up to the Windies squad for their upcoming ODI series against England at home. Charles, who just like Pooran can also keep the wickets and bat at the top of the order, joins the franchise in the Silver category. Pooran earned his maiden ODI call-up after his impressive displays in the eight T20Is he has played so far. The wicketkeeper-batsman has impressed one and all with his shot-making abilities. His 53-run knock off just 25 balls against India last year grabbed eyeballs. Days after that, Pooran had earned his maiden IPL contract after being picked up by Kings XI Punjab in the auction. He had also played one game for Islamabad United in the 2017 PSL edition. Charles, on the other hand, has lost his place in the national team. The hard-hitting batsman, who won the World T20 with Windies in 2012 and 2016, last played international cricket in November 2016 during the ODI series in Zimbabwe. Since then he has mostly plied his trade in T20I tournaments. The right-handed batsman, nonetheless, is not new to PSL, having been associated with Quetta Gladiators in the past. Charles, meanwhile, expressed his excitement over playing in the league and sharing the dressing room with players like Shoaib Malik and Shahid Afridi. “I have heard so many good things about HBL PSL and I can’t wait to be a part of this Pakistani cricket festival,” said Charles according to Pak Passion. Charles is Sultan’s second replacement of the tournament. Earlier, they had to sign up Andre Russell after Steve Smith was ruled out of the entire season with an injury. The Multan-based team will start their season against Karachi Kings on February 15, a day after the start of the tournament.